We started in this business over 20 years ago with a mission to help people who may feel as if they are stuck with a property that isn’t really right for them. Maybe they feel stuck because of the property’s condition, or maybe they are intimidated by the listing process. Either way, we want to help you avoid the wasted time, money and stress. Moving doesn’t have to be hard. You CAN find a new home that will better suit where you are in your life today! We provide homeowners with real solutions. The Sierra Group LLC is Veteran Owned, and proudly boasts an A+ Rating from the BBB. The Sierra Group LLC is a real estate solutions company based out of Lincoln, Nebraska. 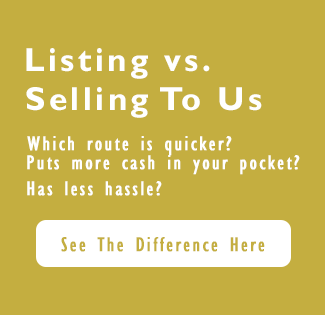 We purchase homes in the area, as well as other markets, such as in Kansas, Florida, and Missouri. In addition to being a highly rated team of homebuyers, we are also licensed, agents. We have extensive market knowledge and can help you make the decision that is best for your situation! We do things for our clients, few if any others can offer, enabling us to do very special things for people in some unique and/or difficult situations. No Excuses. We do whatever it takes to find the best possible way to help in each and every situation. We support each other in reaching our goals & creating solutions with a positive attitude and “I’ve got your back” teamwork. Each of us takes the initiative to educate ourselves so we never become stagnant and remain open to new approaches and ways of doing business in order to better help our clients. We never assume we already know the best way to serve our clients until we’ve listened with care and empathy. We believe in being straight forward with our process from start to finish. We are transparent about how we work, and how we build our offers. Ask us anything! We welcome questions and will discuss your concerns at any time. You are not obligated to your home and selling doesn’t have to be stressful. 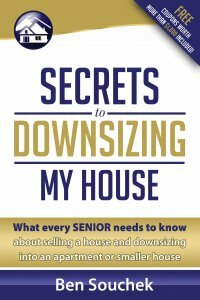 Think about what downsizing could mean for you! We can help you declutter, move and even find a new home! Call us today to learn more! There is never any hassle or obligation! Call The Sierra Group LLC Today!